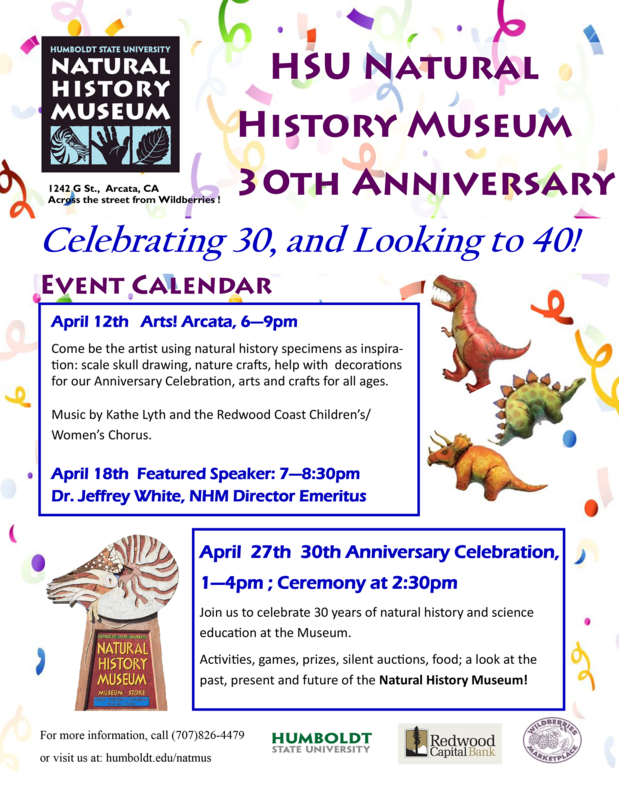 Join the HSU Natural History Museum for Nature, Learning, and Museums presented by Dr. Jeffrey White, professor of Biological Sciences at HSU, Emmy ® Awarding winning film producer, scientist and science education specialist with diverse interests in nature and human interactions with the environment. He is the recent past director of the HSU Natural History Museum from 2010-2015. Parking is limited.